The pros make Excel work for them. Put Excel to work for you today. Learn 23 essential Excel skills pros use daily. After taking this course you will be able to use the 23 essential skills that Excel Pros use. Basic Excel knowledge is recommended before taking this course. This course focused on advanced Excel skills. You need to have Excel installed on your computer. Excel 2010, 2013, 2016 or Office 365 with Excel will work. You should have a PC. You can get by with a Mac, but this course is not specifically designed for Mac users. You don’t have to know everything there is to know about Excel. But, there are a few things the pros know that you’ll want to know, too. Most of these skills are easy to learn and they will enable you to use Excel in a much more powerful way. 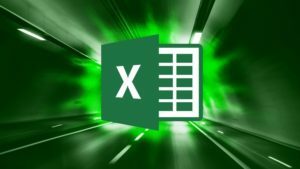 If you use Excel regularly but you don’t feel the sense of confidence and efficiency that you wish you did, this course is for you. It’s designed to teach you the 23 Excel skills that will give you the biggest advantage with the least amount of effort when you use Excel. Based on my research and experience, these 23 Excel skills are the most important and useful skills you can learn beyond the basics of creating a spreadsheet. Most of them are easy to learn, and offer huge returns in efficiency for the small time they take to learn. A few of them will take a little more practice, but I’ve included them because they can be immensely powerful in ways that many experienced Excel users don’t realize. You know how to use Excel. You’ve get the basics down. Now it’s time to learn the 23 essential skills the Excel Pros know! This course is for the experienced Excel user who wants to get more out of their Excel experience.